Hi everyone! Look at me, blogging 3 days in a row! 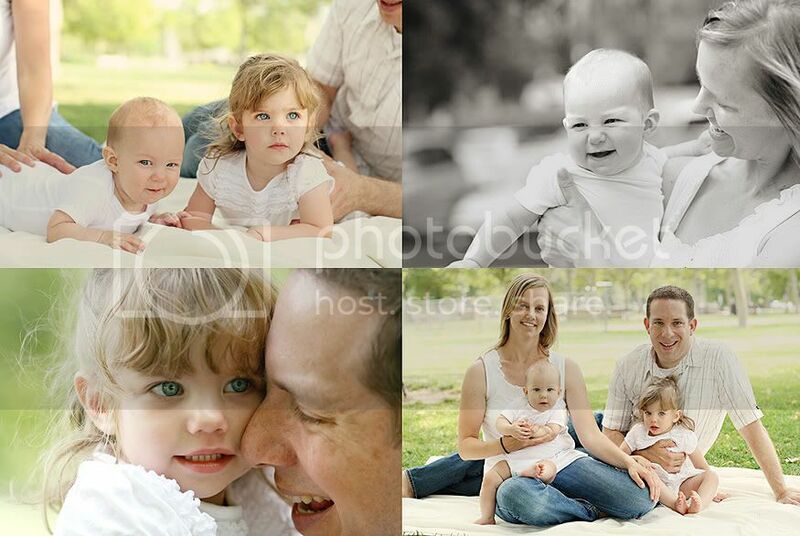 I just want to share two sneak peeks of 2 different family/baby sessions. At some point I want to at least blog one photo of every single wedding and session we've done. We'll call it "Project Post A Lot." Ok, that's lame, but the point is to make sure I keep you guys updated with the many weddings and sessions that have been keeping me super busy! How beautiful is this family? If you've been with me since the start of my photography journey, you might remember this couple from one of our first weddings! They have 2 little munchkins now! They totally melt my heart! More sneak peeks and weddings to be posted soon. I love to see your past couples with their new family members! How cute!